KXIP vs RCB Match Summary: It was a match where both the teams went neck to neck giving everything they got and in the end, the better team emerged victoriously. For the first time in the IPL 2019, both the luck and commitment was on the RCB side and the result was an obvious win. The match was played at the IS Bindra stadium, where RCB won the toss and field first as they considered themselves as better chasers. 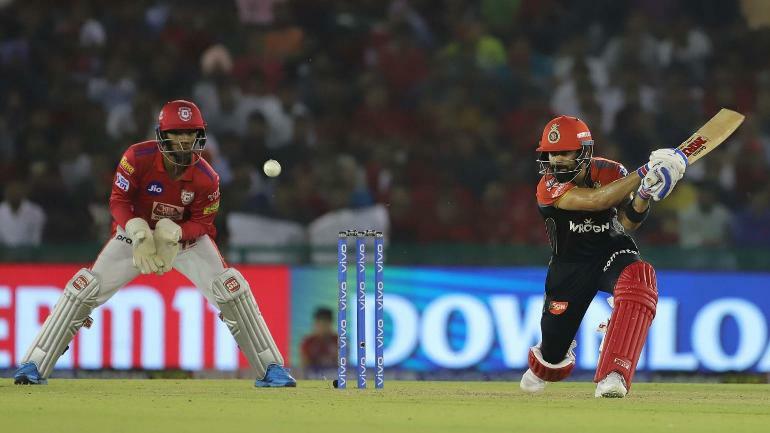 Kings XI Punjab terrific start rattled RCB, even after dismissing KL Rahul cheaply because Chris Gayle was at the other end blowing the bowlers away with his willow. Although rest every other batter fell cheaply, Gayle stayed till the end and remained not out at 99, otherwise what could have been yet another majestic hundred? Kings XI Punjab came to an end at 173/4 in 20 overs. RCB knew that 173 is an easily chase worthy target, all they need to do is play till the end. Parthiv Patel was gain out cheaply at 19, but it was Kohli day and he played the typical Kohli innings of 67 of just 53 balls. After Kohli dismissal both AB De Villiers and Marcus Stoinis played till the end and won the match easily with 4 balls to spare. AB De Villiers registered his third fifty of IPL 2019, Marcus Stoinis also scored quick 28. AB De Villiers was declared the man of the match for his extraordinary all-round performance.